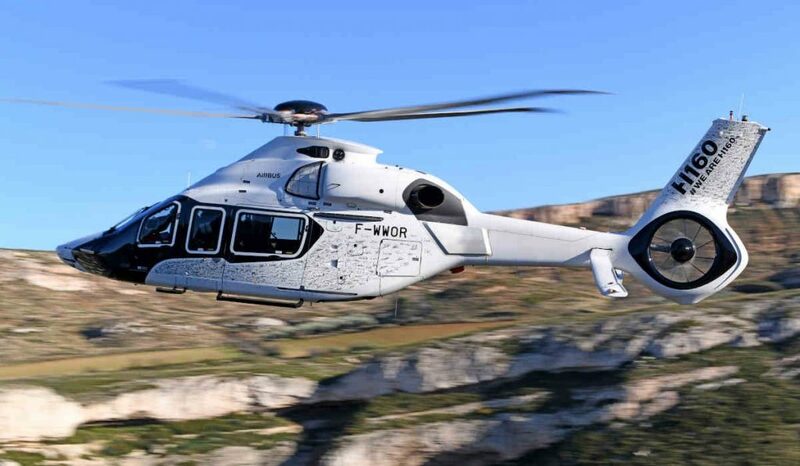 The first serial H160 to roll off a brand new assembly line in Marignane, France, performed a flight demonstration on December 17 in what Airbus describes as an end-of-the-year celebration of the program’s achievements in 2018. The helicopter, which will be delivered to launch customer Babcock in 2020, had already performed its first flight on December 14. Airbus describes the livery of the first serial H160 as a testimony to the several hundred people working towards the platform’s certification at the end of next year – a livery featuring all of their signatures. The first serial H160 joins three prototype aircraft, which have already accumulated more than 1,000 flight hours, in the final steps of the flight test campaign. Airbus explains these tests confirm the modifications that have been introduced through the serial configuration have no impact on the helicopter’s handling qualities.